Korean actor Song Il-gook will be attending a state dinner today held in honor of Kazakhstan President Nursultan Nazarbayev's visit to Korea. The actor -- who rose to fame in 2006 thru MBC TV series "Jumong" -- was invited to the presidential event, which will take place at the Blue House this evening. "I heard that the viewership rating for 'Jumong' reached as high as 80 percent in Kazakhstan when it aired from December 2008 thru April 2009", a source close to the actor was quoted as saying. "The Kazakhstan president was very interested in the show so naturally, Song Il-gook was invited to the dinner". Song, 38, is the son of veteran Korean actress Kim Eul-dong and has appeared in numerous television dramas including "Emperor of The Sea" (KBS, 2004), "Lobbyist" (SBS, 2007) and "Land of wind" (KBS2, 2009). 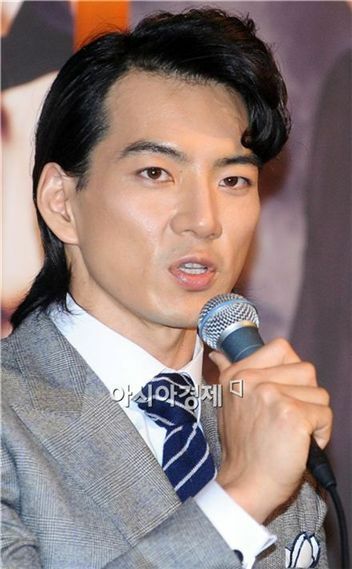 He currently stars in the MBC drama "A Man Called God" alongside actresses Han Chae-young and Han Go-eun.